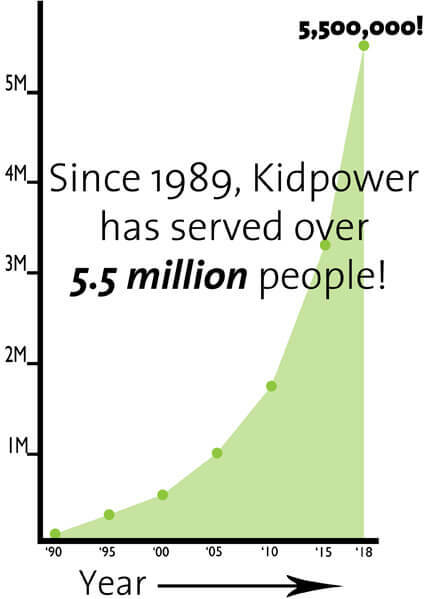 Kidpower exists because of the generosity of many different individuals, corporations, and foundations – and, thanks to their help, Kidpower’s reach continues to grow. In order to fund our services, we rely on individual donations, foundations and corporate grants, and income from our workshops and publications to provide services and educational materials that bring vital skills for safety and success to people of all ages and abilities around the world. Very little of our income comes from government sources. Increasing our individual support is essential in increasing Kidpower’s sustainability for the long run, so that we can continue to provide effective child protection, positive communication, and personal safety skills to protect people of all ages and abilities from bullying, violence, and abuse by empowering them with awareness, action, and skills.. 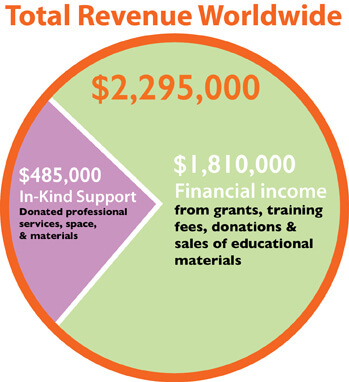 Collectively, Kidpower’s international headquarters, our 24 local centers and offices in the United States, and 24 centers and authorized providers around the world earned almost $2.3 million in financial income in the 2017-2018 Fiscal Year. In addition, our operating picture is not complete without acknowledging the enormous amount of in-kind support – nearly $500,000 (USD) worth of donated professional services, space and materials – that have enabled us to reach so many people with such a small financial budget. Our headquarters is audited each year by an independent certified public accountant, and we complete a Form 990 for our IRS tax exemption status. Our budget for the July 1, 2018 – June 30, 2019 fiscal year is available on request. Our most recent US financial information, including our 990 forms, is available on Guidestar. For copies of any of our financial information, please contact us.